Here’s Inktober Day 18. I’ve wanted to do this for a while: Here’s Cinderaptor. I wrote a short story about her ages ago, and I haven’t drawn her yet. For added fun, I used orange construction paper. You can read the short story here. 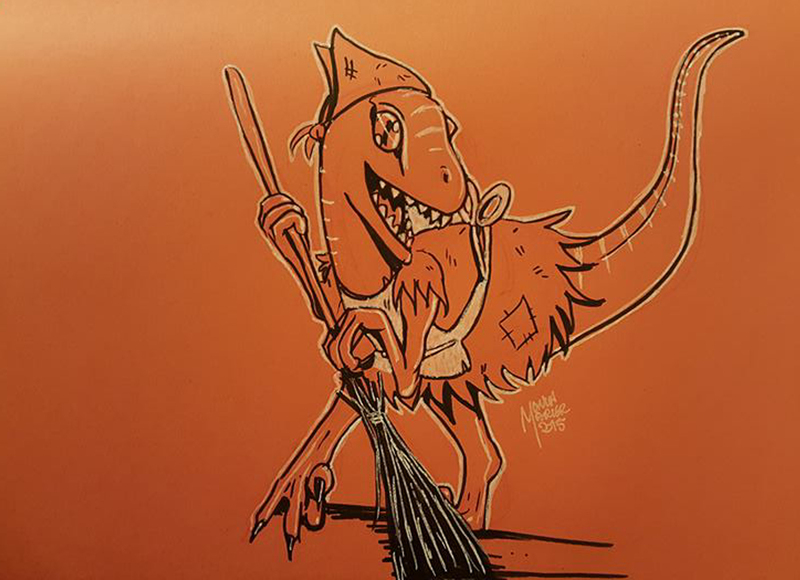 Cinderaptor, by Monica Marier 2015, pen and gel pen on construction paper.